Easy, no fail piecing technique equals an interesting arrangement with only simple shapes. Charm squares can be used for a scrappy look. Easy enough for beginners. 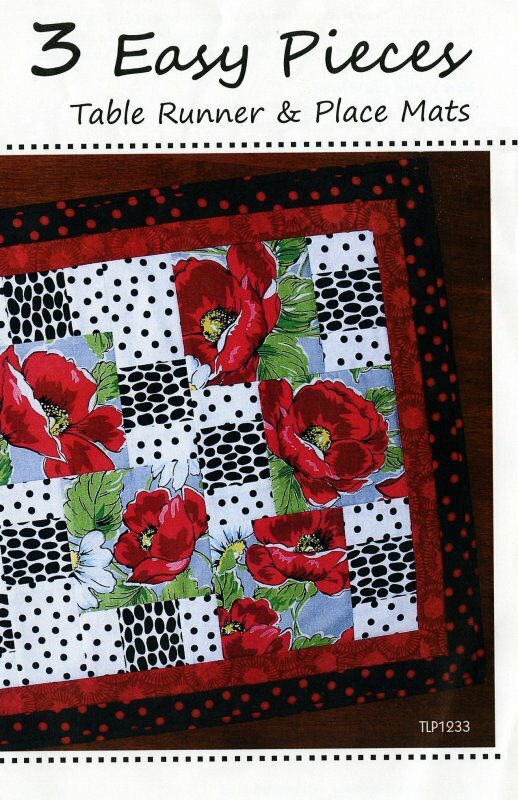 Table Runner: 18" X 44-1/2"
Place Mats: 14" x 20-1/2"